read all the reviews, based on what everyone said, i bought these purely on price, based on my first impression they're very quiet and very comfortable tire, compared to most tires. These tires hold up better than the same ones I put on my son's Volvo. The tires that were on my son's Volvo were the same tires but a different size, they didn't last 6 months before the tread was all used up, might have something to do with it being a heavier or his driving habits. Great tires. This was my second set. Great in the rain. Handle in snow well. I have hit a few huge bumps and potholes on the roads here in NYC and don't see any bubbles yet. Overall I'm very happy with these tires. Will buy again. I've been very pleased with these tires to date. They are quiet on the hiway. Car tracks well. Wet traction has been excellent. These tires have done track laps at Lime Rock Park and Sebring, but not at full speed, yet. Neither have I run an Auto-x with them, yet. This is the new line from Sumitomo, which owns Falken. Exact same tire as the Falken ZE950 and so close to the performance figures I can't tell them apart. Total bang for the buck.I highly recommend them. Very good tire for the price. Good grip in dry conditions but spin quite easily in wet conditions. Corners very good dry, not great but good when wet. After 6k (FWD) front tires have 70_ tread left, rears look new so plenty of fresh tread for next summer. Comfortable ride, no noise, tread wore evenly. 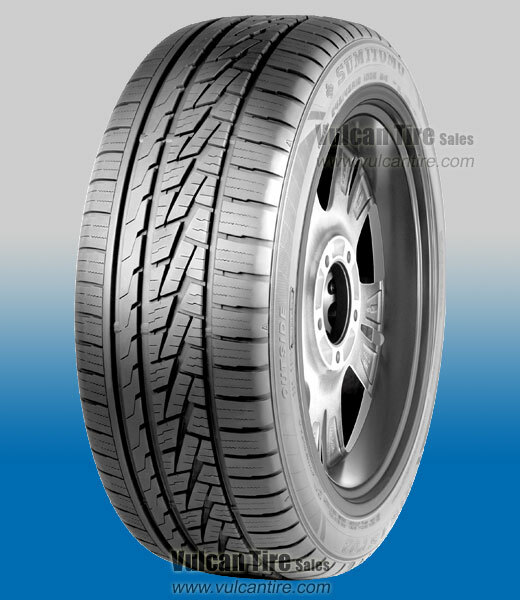 Last tire was Falken ohtsu, these are 10 times better. New tire with no reviews,know Sumitomo is a good brand. Put these on my Mercedes E430 Sport. A real bargain at this price, fast shipping , had my tires in a few days. Tire has a softer sidewall than the Hankook Ventus they replaced, so it's a more comfortable ride, surprisingly quiet considering the tread design. Only driven 500 miles so far , but no issues in heavy here in Florida. Cheap,quiet , comfortable ride. No complaints !